Engineers for the first time powered up the CST-100 Starliner spacecraft that will fly Boeing’s inaugural flight test of the next-generation spacecraft. 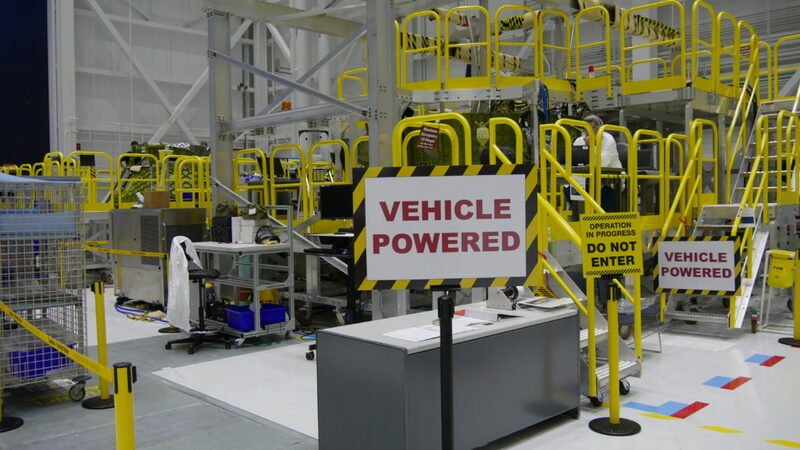 Working inside Boeing’s Commercial Crew and Cargo Processing Facility at NASA’s Kennedy Space Center in Florida, the test team activated the flight avionics system for the Starliner known as Spacecraft 1. The system is the same astronauts will use for all Starliner missions. The avionics is the complex suite of equipment and software that work together to maneuver the spacecraft in orbit, conduct the rendezvous and docking with the International Space Station and communicating with Mission Control on the ground. Whether under manual control by the crew or in automatic mode, the flight computers have to work seamlessly with the thrusters, guidance and navigation system and other subsystems to perform the mission and then return back to Earth safely.